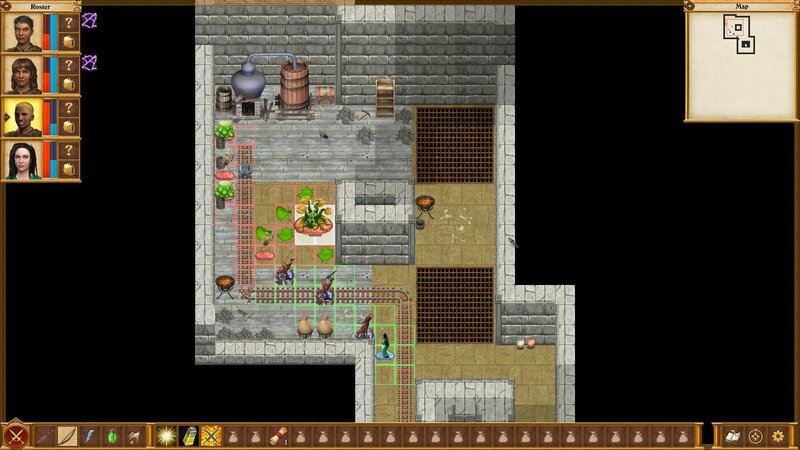 We’re big fans of Spiderweb Software’s work around here, as they’ve brought multiple entries in their excellent Avadon and Avernum RPG series to the iPad platform over the years, and the decidedly old-school style of play translates extremely well to the touchscreen. On a platform that’s not known for having incredibly deep titles, the stuff Spiderweb has been putting out on the iPad is as deep as the ocean and fills a hole for small but passionate fan of these types of RPGs. Well, Spiderweb is turning 25 this year, and in anticipation of that milestone they launched a Kickstarter for a brand new game in May of last year. The campaign was an overwhelming success, originally seeking a $30,000 goal and upon reaching that on the very first day of the campaign it ultimately ended up amassing nearly $100,000. This success has meant that Spiderweb has been able to focus on cranking out this new game for the past year, and it’s finally getting close enough to completion that they’ve announced a release window. The game is called Queen’s Wish: The Conqueror and you can learn all about it in the following trailer. In Queen’s Wish: The Conqueror, you play as the child of a ruling Queen who has thus far lived an easygoing life of luxury. Then as you come of age your mother thrusts you out into the war-torn land all by yourself, expecting you to survive and conquer that land to prove you are worthy to sit at the royal table, so to speak. However, assuming you’re able to rise to power on your own and conquer that land, who’s to say you have to obey your mother anymore? As the game says, “The Queen thinks you will submit and join the family business. You might have other ideas …" As with Spiderweb’s previous games, there’s definitely multiple paths to victory in Queen’s Wish: The Conqueror. The plan is to launch the game on desktop in Q3 of this year with the iOS version to launch shortly afterwards. One very exciting development is that one of the stretch goals for the Kickstarter was to devote some of the extra funding towards making an iPhone version of Queen’s Wish: The Conqueror. All Spiderweb’s previous games have been released on iPad only as they’re fairly UI and menu intensive games and it would take some pretty serious reworking to get them to play nicely on a smaller iPhone screen. But, they’ve always wanted to release their games for iPhone too, so now they’re taking the opportunity to give that a shot. I’m very eager to see how it comes out and we’ll be keeping an eye on Queen’s Wish: The Conqueror’s development as we march towards its launch later this year.